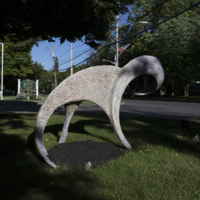 George Hendrickson, “Hatchling,” Art Oneida, accessed April 20, 2019, http://artoneida.org/art/items/show/257. 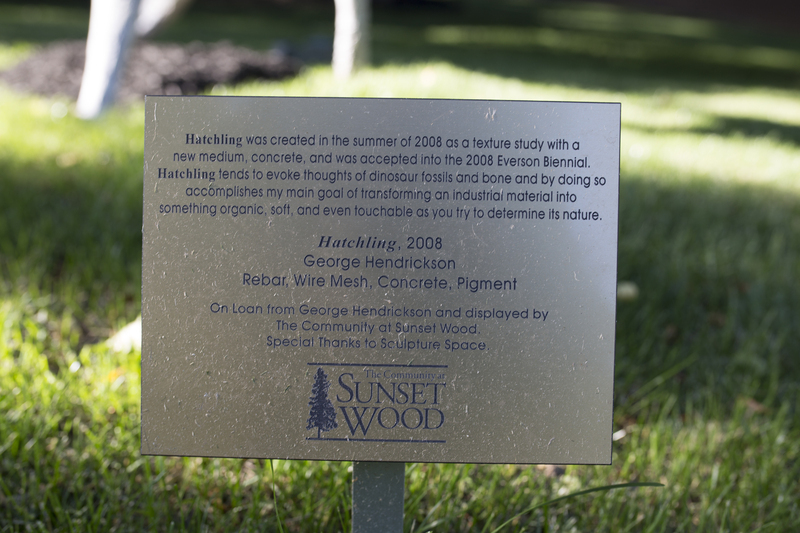 Description: Sculptor George Hendrickson set out with the idea of exploring something strange. 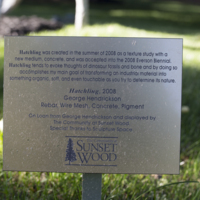 He wanted to transform an industrial material, concrete, into something more organic, even appearing soft and touchable. 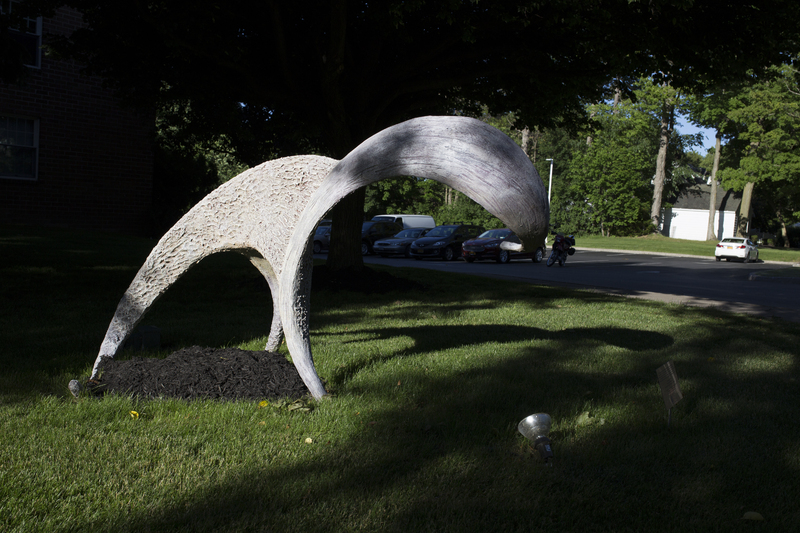 That led him to experiment with mixing his own concrete, trying different textures to make it function more like clay. 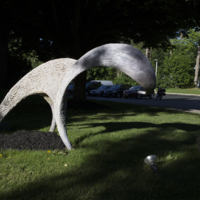 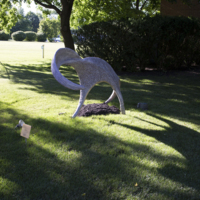 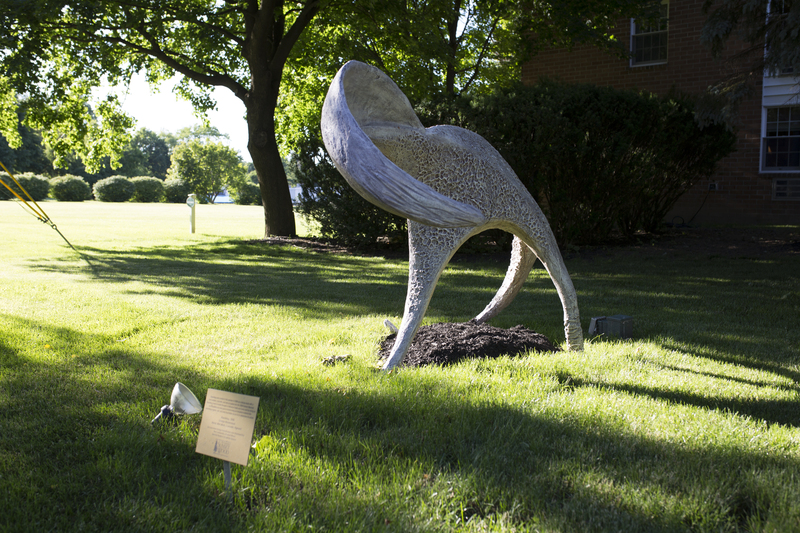 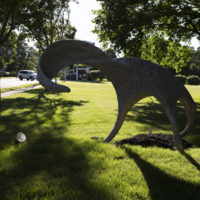 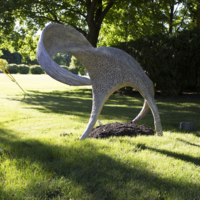 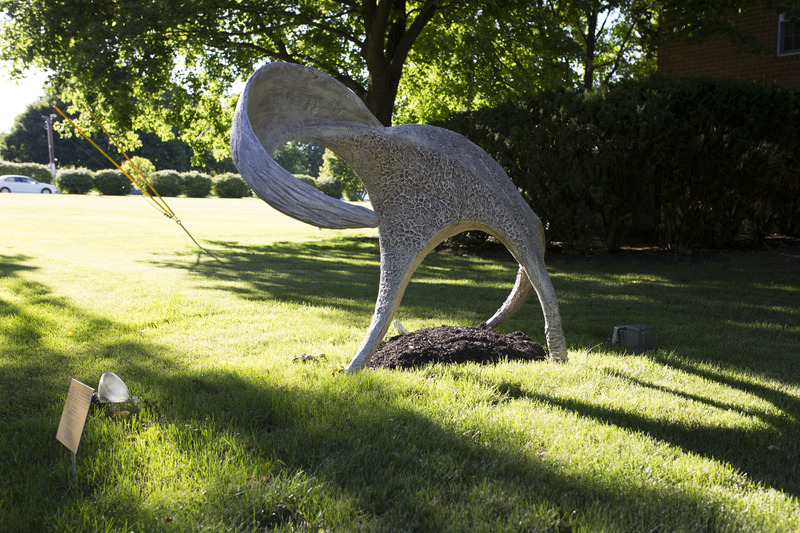 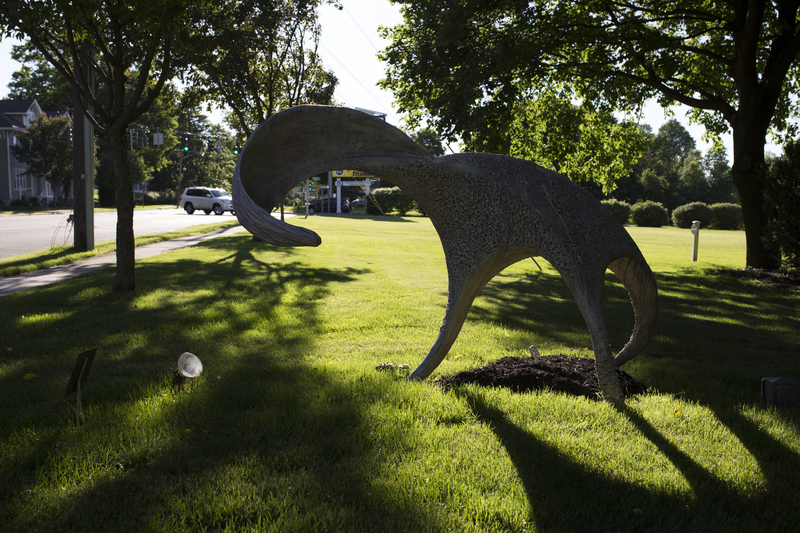 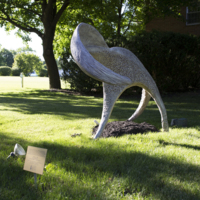 The resulting abstract outdoor sculpture, Hatchling, evokes movement and a sense of being. As a texture study, it emerges out of its industrial origins. 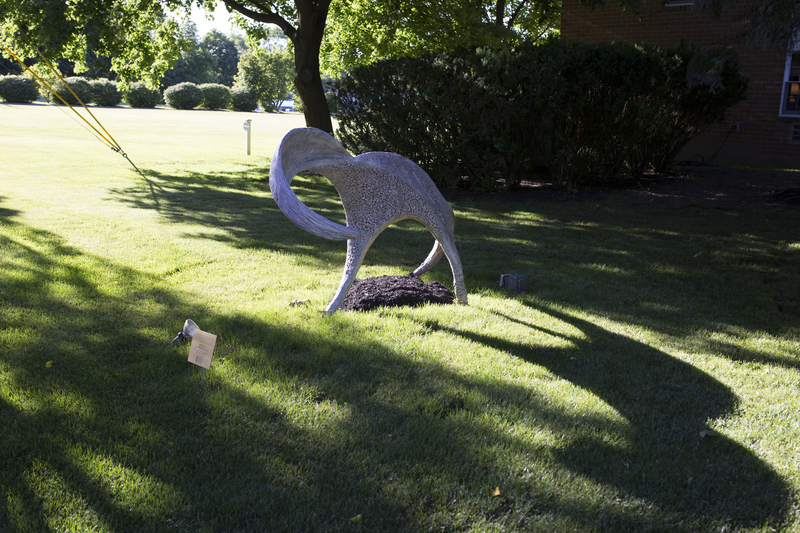 It was created for the Everson Museum's Biennial exhibition in 2008, "The Object and Beyond." 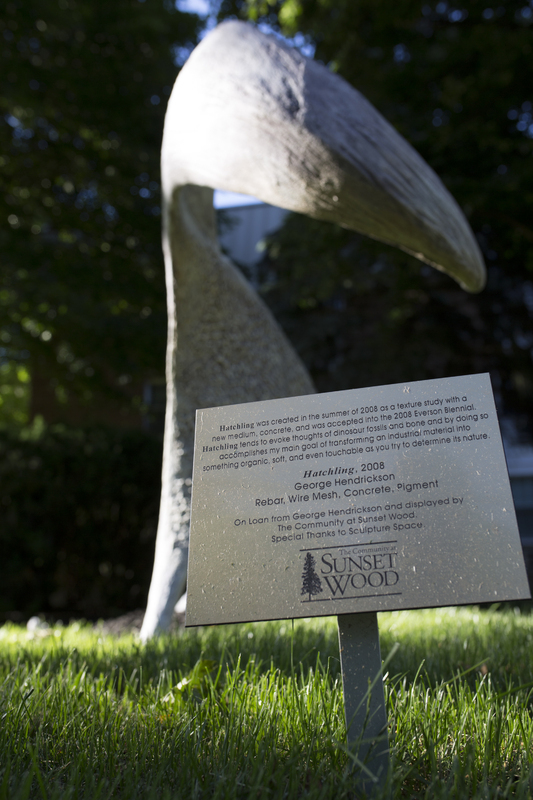 After that it was placed at the Kirkland Art Center. 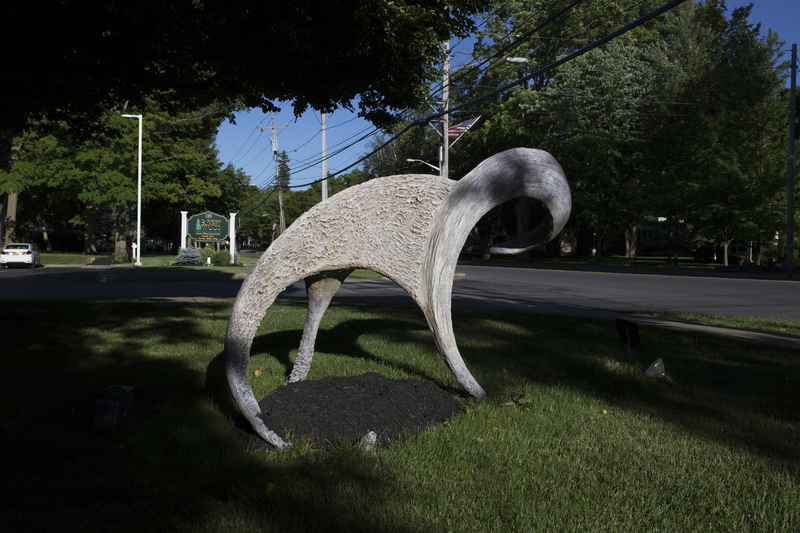 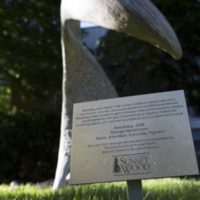 Most recently, it is on loan to the Community at Sunset Wood in New Hartford.